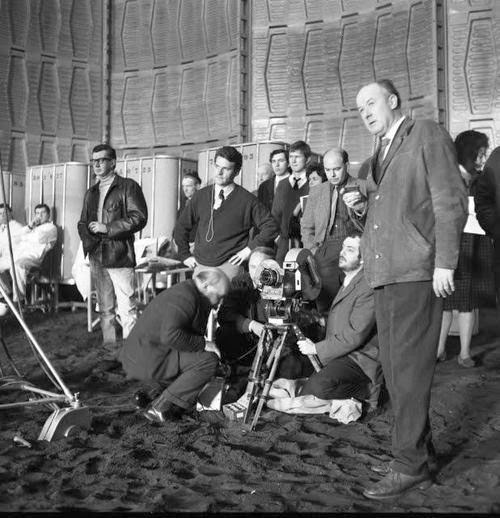 Geoffrey Unsworth (right), legendary director of photography, on the 2001 monolith excavation set at Shepperton, late december 1965 - early january 1966. 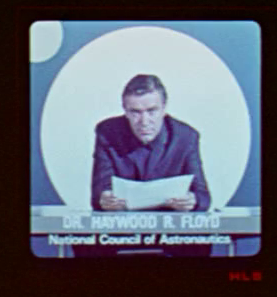 In the pre-recorded message played right after Hal’s death in 2001, the name of Dr.Floyd is wrongly spelled “Haywood” instead of Heywood. This, and William Sylvester’s slightly different hair style, is telling of a re-shoot that took place in the summer of 1966 (all his scenes had been already shot in January). 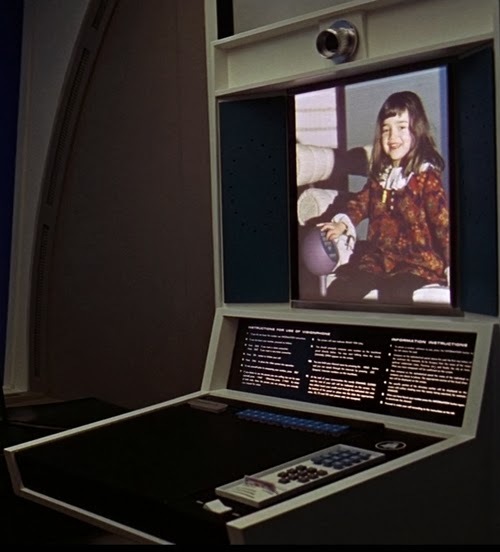 The re-shoot happened because originally the true purpose of Discovery’s mission was meant to be revealed by other characters from Mission Control in a more elaborate message played to Bowman in the centrifuge after Hal's demise. The scene remains, in a similar form, in Arthur C. Clarke's novel; here Floyd is joined by a Dr. Simonson, a character that had to feature in the movie as well but was later cancelled, that explains to Bowman the reasons behind Hal's murderous behavior. Script changes dictated the need of a different way to show the audience (and Bowman) that Hal knew what the purpose of the mission was all along, and to prepare the surviving astronaut to the eventual meeting with the Entities that had put the monolith on the Moon. Did your sister ever get that bushbaby?